Passionate about journalism, education and dialogue, preferably in combination, Magnus Gylje works with engaging a global audience around the Nobel Prize through the discoveries, works and actions of the 900 Laureates who have been awarded the Nobel Prize since 1901. And by lifting topics of importance for our present and future world in the fields of science, literature and peace. As Chief Digital Officer at Nobel Media he’s responsible for digital strategy – and as Editor-in-Chief of the official Nobel Prize Channels he leads an editorial team that publishes on nobelprize.org and social media channels including Facebook.com/NobelPrize. The global reach of the Nobel Prize digital channels nearly doubled in 2015 to a new record high, due to an increased focus on social media and by strengthening the storytelling and dialogue aspects of material published. 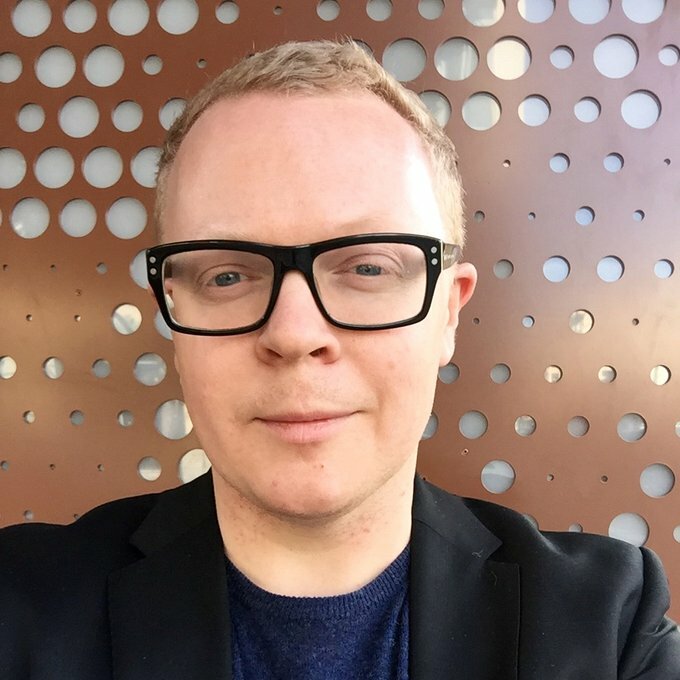 Magnus Gylje joined Nobel Media in 2014 and has 15 years of editorial experience in the newspaper industry as editor of culture magazines and digital storytelling projects at Svenska Dagbladet (svd.se), and as radio station manager and podcast producer. A Master of Social Science graduate from Uppsala University, Sweden, specializing in prejudice research. He has also studied Psychology end Economics at University of Edinburgh. Father. Food and moody music lover.